I've uninstalled my iObit softwares before and it made no difference. I've had these programs for years now and never had an issue. I have around 5 iObit related softwares so uninstalling them once again would be tedious and it hasn't solved the issue before. There is a similar thread over on BleepingComputer, https://www.bleepingcomputer.com/forums/t/687511/360-safe-popup-after-reboot/page-5; in the last comment the OP explained that he was able to edit the host file which prevented the pop-up from happening. I am not quite sure what that means, can you care to explain? That is not a fix. It is a band-aid to the issue. Basically, the computer has some type of automated entry allowing this object to run. Because it appears to have access to the network to help launch the process the inclusion of an entry in the "hosts" file redirects that IP to an invalid IP, thus preventing the launch. But again, that is not a fix, it's a workaround as the cause has not been found yet. There are probably well over 50 ways to launch an object many of them are very easily checked and tested for. Others are a bit more complex in how they run. Scheduled tasks are one major way. On XP there were no scheduled tasks, on Vista, there was a handful, on Windows 7 it has dozens, in Windows 10 they really jumped that number up and now there are over 100 scheduled tasks. FRST ignores most of the Microsoft ones so that leaves us with still quite a few that in "theory" are safe or known, however, you have an anomaly here where typical scans and reviews are not revealing the exact launch point. There are drivers that can perform the task that you're experiencing but there is no known database that contains every single driver out there and a known verified coding and behavioral analysis. 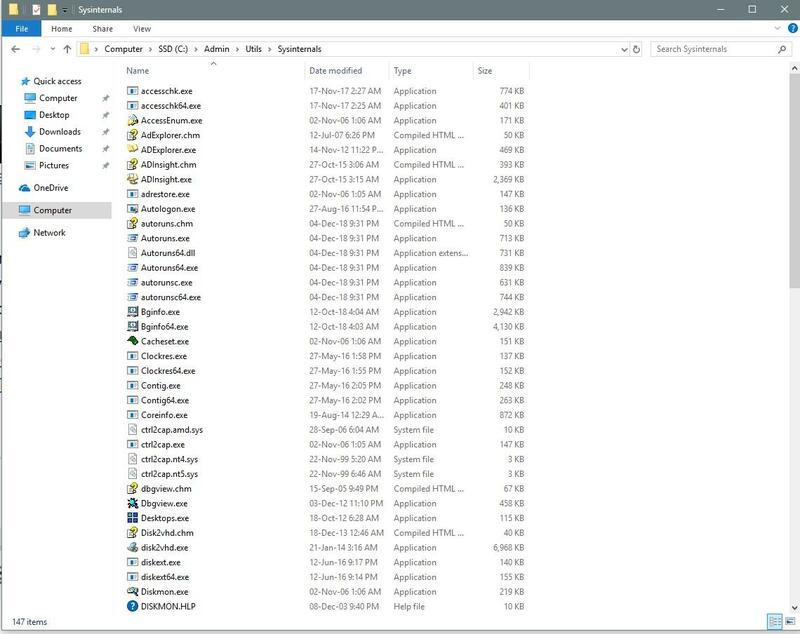 The same thing for every executable and DLL on the system as well as some other file types that are also not listed. Then there are com events where applications talk to each other that are not easily shared or tracked at that level too well even with process monitor. In some cases, it may show that the applications are loaded and exchanging data but at a machine code level that is not evident what is actually being read or written. There is software to track that but it is not free, but there are some other options if it comes down to that. A couple of things that help us is that you say that it does not appear to run in Safe Mode. In Safe Mode, most of the scheduled tasks don't run. Many of the underlying data exchange between applications are no longer operational the same way they are in Normal Mode. I'm not saying iObit is the cause but it has a ton of tasks and underlying communications that is difficult to just shut off in Normal Mode. There are also many other types of launch methods available to different browsers, etc. Before we dive into more exotic tracking modes let me get a better look at your scheduled tasks and see if I can find something in there. Please open an elevated Admin command prompt and type exactly as shown, or copy/paste that into the command window. This will create a MyScheduledTasks.txt file on your desktop. Please upload that file on your next reply. SCHTASKS /Query /FO TABLE  /V >"%USERPROFILE%\desktop\MyScheduledTasks.txt"
Appreciate the detailed explanation. Just to add to that, the pop-up also does not appear in safe mode with networking on, and in normal mode with internet disabled. Just now looking at your task list. Interesting is that iObit is blocking its own Scheduled Task from even opening. I can understand blocking it from modification outside of the program but not from reading it. I'll try to be back with you soon, if not, then later tonight. I did not find any obvious unexpected entries in the Scheduled Tasks list. As there are many good diagnostic tools from Microsoft Sysinternals I would recommend creating a folder to keep all the files. As we may need to use more than one to help us out, let's go ahead and download their suite of programs. My suggestion would be to create a folder structure something like this, but you're free to use any name you like. Just make sure it's a new folder with just the Sysinternals Tools in it. If you need further instructions on doing any of this please let me know. Then change directory to C:\Admin\Utils\Sysinternals from an elevated admin command prompt and run each of the following commands and click OK to allow the tool to run the first time. sigcheck64.exe -u -e -s -c c:\windows\system32 >"%USERPROFILE%\desktop\UnsignedFiles.txt"
sigcheck64.exe -u -e -s -c c:\windows\SysWOW64 >"%USERPROFILE%\desktop\UnsignedFilesSysWOW64.txt"
I am not quite sure what you mean by "change directory to C:\Admin\Utils\Sysin﻿ternals﻿ from an elevated admin command prompt". I created the folder C:\Admin\Utils\Sysinternals and extracted all the Sysinternals Utilities from the download to that folder. Not sure what I need to do with regards to changing the directory. Please ignore my last comment, I researched and understood what needs to be done. The file below is bad no matter what. No file with the extension of .tmp belongs in the Drivers folder period. For the most part except during an install, no file with .tmp extension belongs on the computer for more than a very short period of time. Please zip up this file and upload so that I can review it. It is probably not the cause of your issue but does not belong and we should verify what it really is. If you need help on how to zip it up please let me know. I'm guessing you installed Windows 10 as an upgrade to a previous installation of Windows 7. Is that correct? I upgraded to Windows 10 from Windows 8.1. Is there an explanation as to why the pop-up, along with it's temp files, do not appear post starting up my PC from a long period of it being shut down? The file is legit but an invalid name. Should never have been in that location. Maybe a crash or other installation issue left it behind. Copyright (C) 2001-2010 Qualcomm Atheros Communications, Inc.
As for why it does not launch after a long period of time we don't know yet as we've still not tracked down what is causing it in the first place. Windows Defender Offline is a powerful offline scanning tool that runs from a trusted environment, without starting your operating system. This topic describes using Windows Defender Offline in Windows 10, Windows 8.1, and Windows 7. In the current version of Windows 10: Under Current threats, select Scan options. Note: Before you use Windows Defender Offline, make sure to save any open files and close apps and programs. The Windows Defender Offline scan takes about 15 minutes to run, and then your PC will restart. Download Windows Defender Offline and create a CD, DVD, or USB flash drive. Restart your PC using the Windows Defender Offline media. Windows Defender Offline will walk you through the details of these four steps when you're using the tool. If you've been prompted in Microsoft Security Essentials or Windows Defender Security Center to download and run Windows Defender Offline, it's important to do so, to make sure that your data and your PC isn't compromised. then download and run the tool — the tool will help you create the removable media. In the current version of Windows 10: Under Current threats, select Scan options, and then select Threat history. Yes, but it hides what the real cause was. Microsoft replaces thousands of files on that large update and makes many changes so now we'll never know what the root cause was. However, I can understand your frustration with the issue and just wanted it fixed. I'll go ahead then and close this topic now. Take care and stay safe out there. I would highly recommend you look at obtaining an external USB drive and both imaging your main drive as well as regular data backups.